Jean Laughlin is on MySpace! RadioIndy created a CD Announcement Press Release for Jean Laughlin on Digg.com! "What Am I Looking For?" Reviewed by RadioIndy.com! 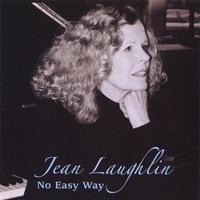 RadioIndy is pleased to present Jean Laughlin with a GrIndie Award for the CD "No Easy Way"
"No Easy Way" Reviewed by RadioIndy.com!